Do you want to build a truly one-of-a-kind dining room table, bar top, or mantel for your home? Consider the custom sawing services we offer here on Whidbey Island, which will allow you to branch out from the options you’ll find at an average home improvement store. At Whidbey Woodworks & Custom Milling, our custom sawing services allow wood workers to create something completely unique. 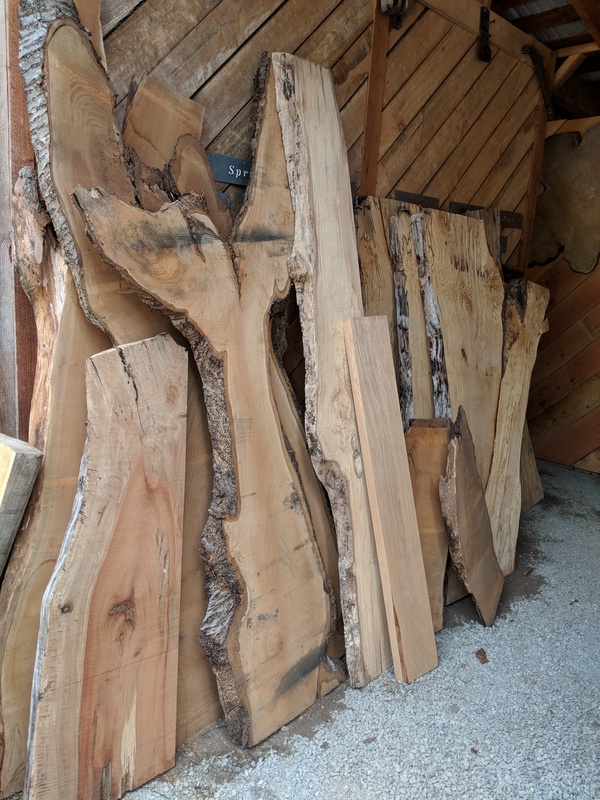 We even offer live edge wooden slabs for sale that come straight from the native trees on Whidbey Island and in the Pacific Northwest region. You’ll be amazed by how a piece of furniture with a live edge can effortlessly look more like a work of art. 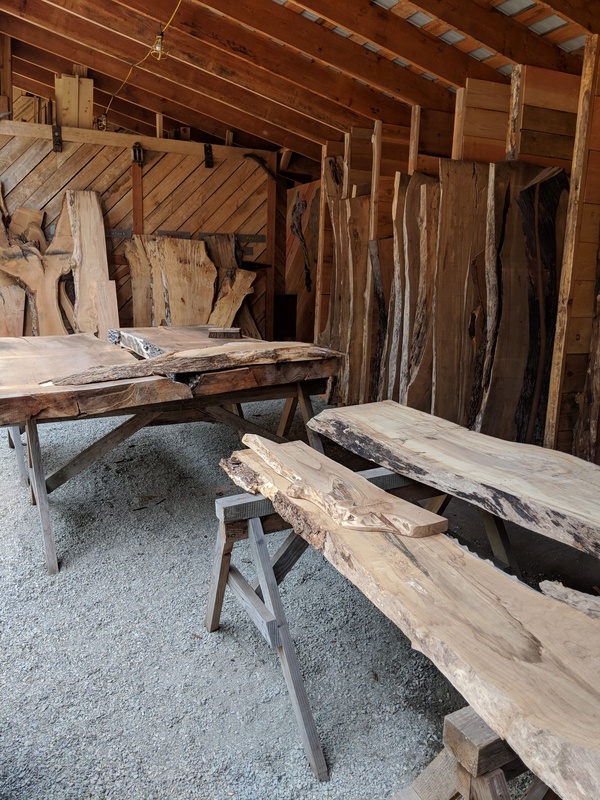 The process of producing live edge wooden slabs at Whidbey Woodworks & Custom Milling consists of using two band sawmills that are equipped to cut large slabs for customers. The first sawmill is a Timberking B-20 that is capable of milling trees that are up to 30 feet long. The other is a Hud-Son 60 that is capable of cutting trees that are up to 56 inches wide. These sawmills allow Whidbey Woodworks & Custom Milling to provide custom sawing services, so you can create practically anything imaginable. You will love all of the possibilities that come along with designing a custom piece for your home. When utilizing our custom sawing services, you will gain a new appreciation for the furniture you create. Whether you are a homeowner looking for a custom statement piece with live edge wooden slabs or a business owner interested in creating more interesting pieces for your company to boast, you will be amazed by how Whidbey Woodworks & Custom Milling can help get the process started. Would you like to find out more about the custom sawing services offered by Whidbey Woodworks & Custom Milling? Call 360-202-9989 today for additional information. Are you interested in adding some unique touches to the new structure you are building? Whidbey Woodworks & Custom Milling makes it easy for homeowners and home builders to design a custom structure creation that will stand out. 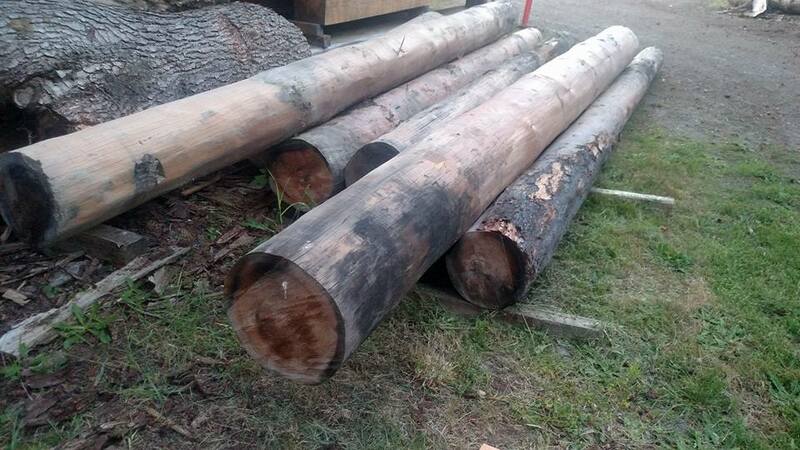 We can gladly provide you with the timbers and beams you need for wooden structures, and will make sure your home, office, barn, shed, or other structure is sturdy for years to come. Whidbey Woodworks & Custom Milling is well-known for providing wood workers with live edge wooden slabs and boards that are milled directly from the native trees that grow on Whidbey Island and neighboring Pacific Northwest areas. 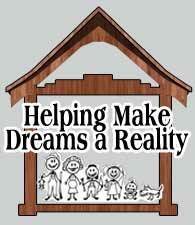 In addition to that, however, we also specialize in helping people build the custom structure creation of their dreams. There is no job too big or too small, as Whidbey Woodworks & Custom Milling can provide wooden siding and other small wooden details, or all of the necessary timbers and beams for wooden structures. Either way, you will be amazed at how good the wood harvested and milled by Whidbey Woodworks & Custom Milling looks when all is said and done. The secret to Whidbey Woodworks & Custom Milling’s success is the quality of the tools used to mill and cut wood. A Timberking B-20 can be used to mill trees that are up to 30 feet long, whereas a Hud-Son 60 can cut trees that are up to 56 inches wide. That gives Whidbey Woodworks & Custom Milling the freedom and flexibility to cut wood into all different shapes and sizes, and it also gives customers the chance to come up with all kinds of inventive creations. If you can think up a custom structure creation, we can help you bring it to life. 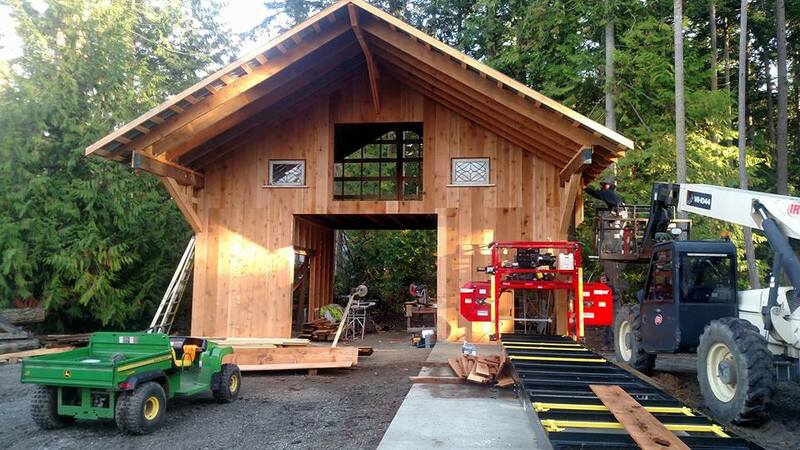 If you are a wood worker in the process of designing a structure, consider utilizing the services offered by Whidbey Woodworks & Custom Milling. You can get started by calling 360-202-9989 today. If you want to add some character to a home or office space, one of the best ways to do it is by installing reclaimed wooden beams. These beams will instantly improve the look of a home or business and give it the charm that you are looking for. Of course, it’s not always easy to track down reclaimed wooden beams and timbers for sale. 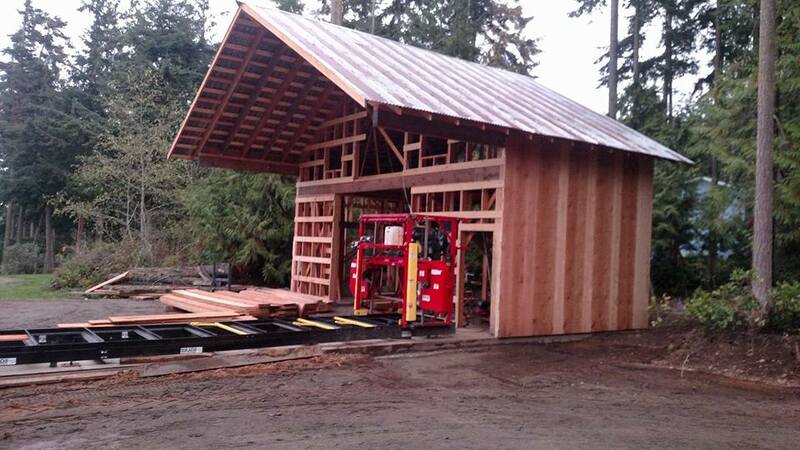 Fortunately for those on Whidbey Island however, Whidbey Woodworks & Custom Milling can help. Our small family sawmill business actually specializes in finding and restoring wooden beams to bring them back to their glory. 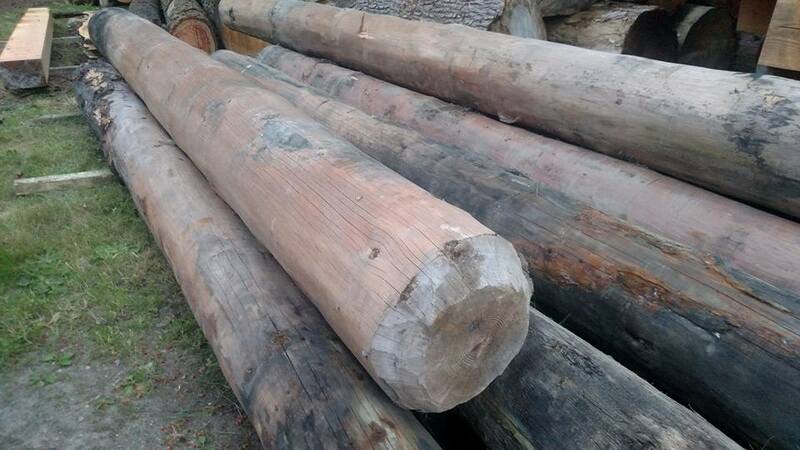 Whether you are looking for live edge wooden slabs and boards or timbers and beams for wooden structures, we offer a number of different wood sawing and milling services. However, if reclaimed wooden beams and timbers for sale is what you are searching for, we’ve got you covered. Whidbey Woodworks & Custom Milling routinely mills reclaimed beams in an effort to capture the old growth and aged wood, and we are happy to provide you with whatever you need to complete your next residential or commercial project. While most people choose to install reclaimed wooden beams on the ceilings of their homes or businesses, Whidbey Woodworks & Custom Milling invites you to get creative. You can use our reclaimed wooden beams and timbers for sale for just about anything. Whidbey Woodworks & Custom Milling will handle the milling of the reclaimed beams and timbers and let you handle the rest to create a truly unique and creative purpose. Would you like to check out some of the reclaimed beams Whidbey Woodworks & Custom Milling has created in the past? Reach out to our family-owned sawmill business at 360-202-9989 today. The trees that are native to Whidbey Island and the surrounding Pacific Northwest region are very beautiful and produce some of the best-looking wood you can find. 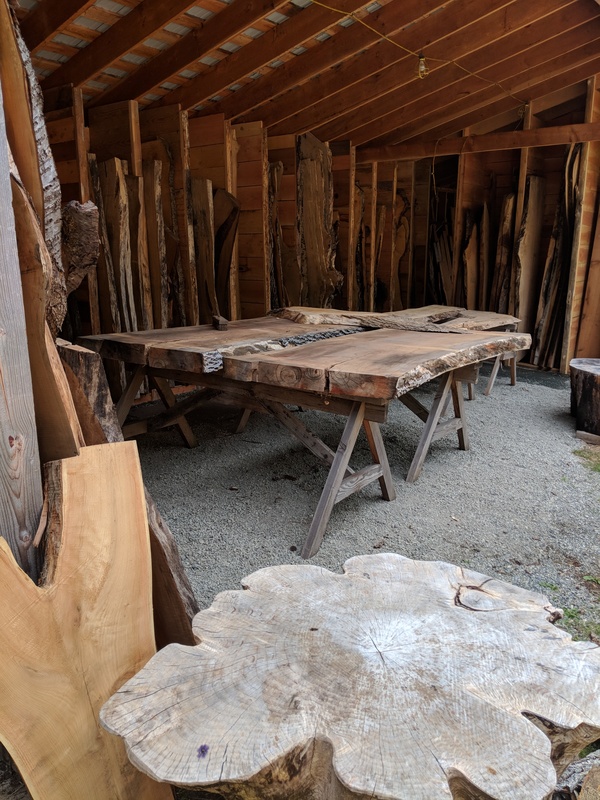 Whidbey Woodworks & Custom Milling takes full advantage of this by taking those trees and milling them to create wide live edge slabs made out of madrone wood and other types of local wood. Whether you want to use it to create a new dining room table, a bar area or something else entirely, you will be able to create something very special when you purchase one of the slabs offered by Whidbey Woodworks & Custom Milling. The madrone wood that is native to the Pacific Northwest part of the country is excellent for making furniture and other wooden structures. It tends to be either a cream color or a pinkish brown, and it can also include really dark red patches throughout. If you look closely, madrone wood has a swirled grain pattern in it, and you can easily stain and finish it if desired. Many people from all over have come to Whidbey Woodworks & Custom Milling specifically for slabs made from madrone wood because it can be used to create so many different kinds of beautiful furniture. Whether you want to purchase madrone wood slabs or slabs made out of a different kind of wood, Whidbey Woodworks & Custom Milling can help. 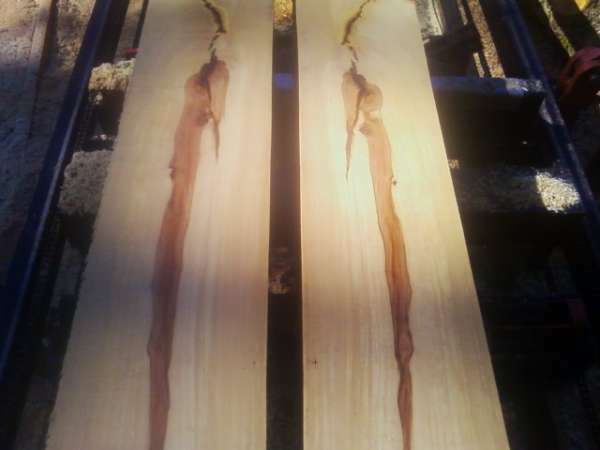 By using two different band saws, including a Timberking B-20 and a Hud-Son 60, we are able to take very tall and very thick trees and break them down into custom slabs for wood workers. Regardless of what you choose to make, these slabs will make your creation truly unique and will show off the undeniable beauty of the trees that are native to this area. Want to take a look at the wide live edge slabs available through Whidbey Woodworks & Custom Milling? Call 360-202-9989 today to see what we have in stock, or to find out more about our custom services. Dimensional lumber is, as its name would suggest, lumber that has been cut down to a specific size, planed and smoothed so that it is ready to use right away. If you are looking for this type of lumber for a project, Whidbey Woodworks & Custom Milling can help. While our small, family-owned sawmill business offers a wide range of custom sawing and milling services for customers to take and recreate with, you can also obtain high-quality dimensional lumber that you can start using without doing anything else to it. It is made using the trees that are native to Whidbey Island and some of the Pacific Northwest areas that surround it, which is very attractive to many wood workers. When you come to Whidbey Woodworks & Custom Milling, however, you will have more options than just ready-to-go dimensional lumber. We also sell rough cut lumber, which is unfinished and will allow you to either put your own spin on it or leave it as is, depending on your project. Additionally, Whidbey Woodworks & Custom Milling sells old-growth lumber, which is great for repairing older homes and cannot be found at your average home improvement store. There are so many different options for those looking for lumber from Whidbey Woodworks & Custom Milling. Whether you want something that’s finished or unfinished, new or old, we will work diligently to provide you with the materials you need. Whether you plan to use it to make furniture, siding, or an entire wooden structure, you will be pleased with the lumber you find at Whidbey Woodworks & Custom Milling. To get your hands on some of the best dimensional lumber in the area, call Whidbey Woodworks & Custom Milling at 360-202-9989 today.